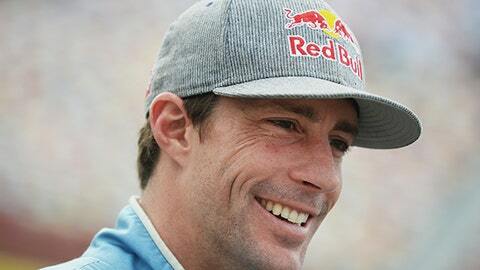 Travis Pastrana faces our off-the-wall questions in another round of rapid fire Q&A with Kaitlyn Vincie. Travis Pastrana is the kind of guy that doesn’t run from fear, he embraces it, runs to it and shows it who’s boss. Before his final race in the NASCAR Nationwide Series, our own Kaitlyn Vincie caught up with the high-flying, back-flipping, action sports star for a rapid fire Q&A session.